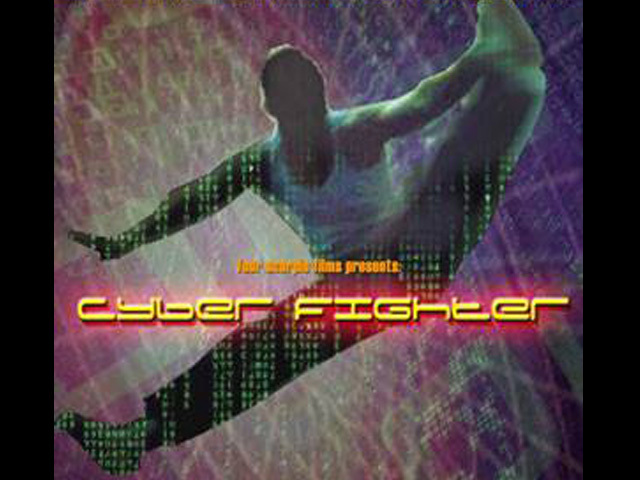 The short film version of our feature project Cyber Fighter is currently in Pre-Production. A novelization for the feature script is in process of being published, along with a graphic novel which is in development as well. We are intending to produce the short film in 2019, with the intention of building an audience for the eventual feature film. Be sure to visit and like us on Facebook! Follow Cyber Fighter on Twitter! Follow our progress on IMDB! 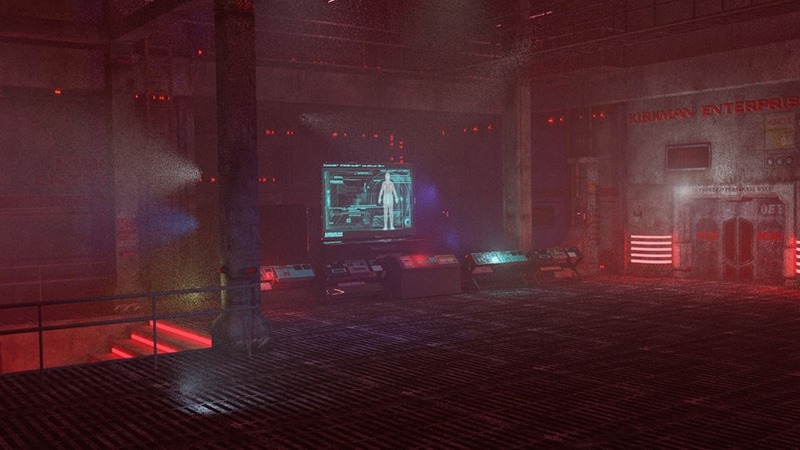 “The Farm” – CG Virtual set to be composited with Green Screen live action footage. 2017 CG Animation animatic for the “Cyber Fighter” VR environment sequence in the film. 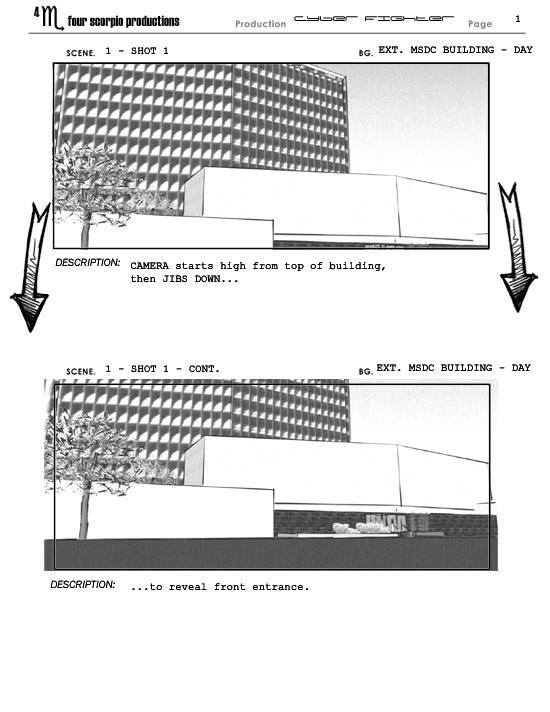 Storyboard Sample for the short film. 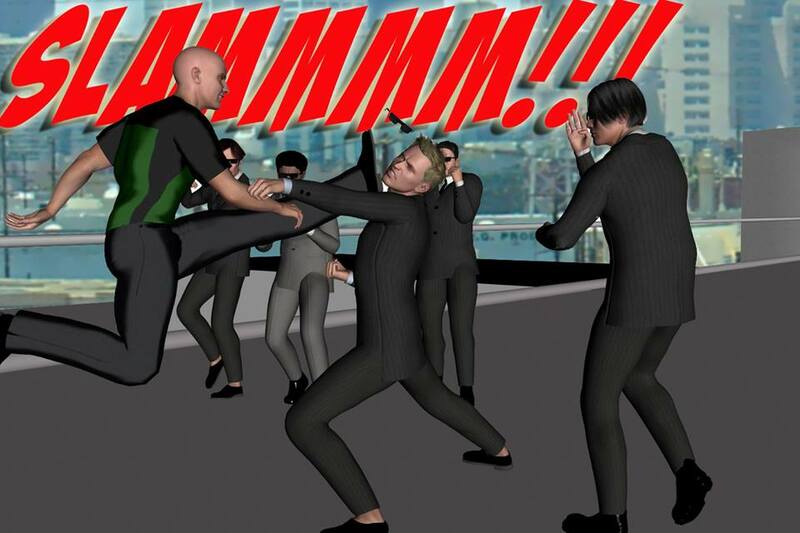 Sample panel from Comic Book based on the short film script.